Evening arrival in Delhi. Transfer to hotel Imperial. Morning orientation & slide show/lecture presentation on Ancient Indian Architecture. 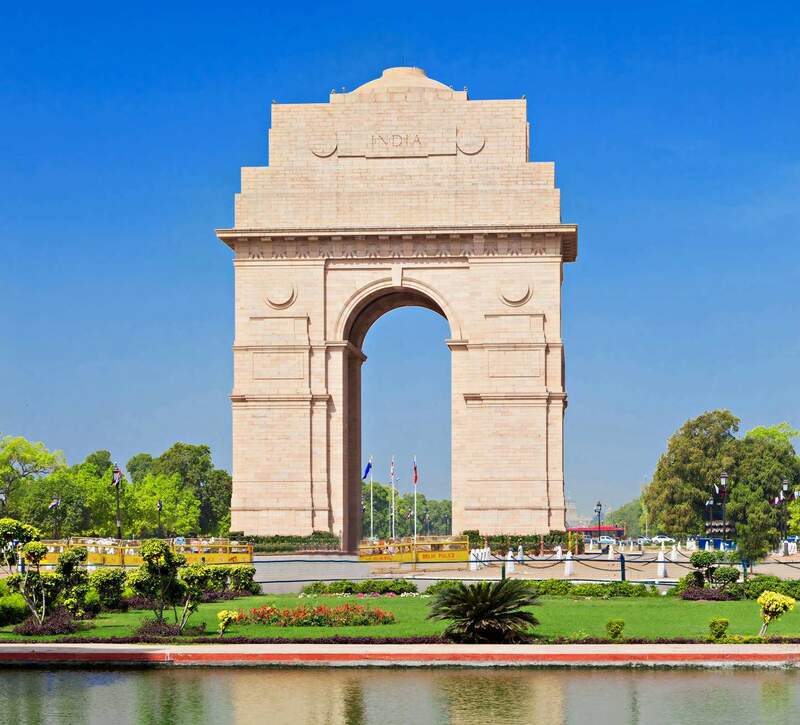 After lunch, visit architectural highlights of Delhi including Qutab Minar, Red Fort and others. Morning visit the National Museum. After lunch, visit the Crafts Museum. In the evening enjoy classical dances of India followed by Indian dinner. Fly to Khajuraho. After lunch, visit Classical Temples from Chandella Style illustrated with remarkable sculptures from the KAMA SUTRA. Day excursion to visit two little known Chandela Forts, Kalingar (130km) and Ajayagarah (80 km). Morning drive to Orchha. Visit Jahangir Mahal Palace. Drive to Jhansi to take a train to Agra. Sunrise visit to the Taj Mahal. After breakfast visit Agra Fort. Introduction to Indo-Persian architecture of the Timurid Dynasty. Morning visit Itimad-ud-Daulah, the first white marble inlaid grave in pure Indo-Persian style. Afternoon drive to Jaipur. Full day sightseeing including Amber Fort, Hava Mahal. There will be opportunities to visit block printing factory, gem cutting, carpet factory, silk shops. Fly to Udaipur, IC 7491 (0720 /0800) Afternoon lecture on modern Indian Architecture. Visit the City Palace and its Museum. Introduction to the world of miniature paintings; boat ride on Pichola Sagar Lake. Visit Saheliyon Ki Bari, Ladies Garden. Special dinner and presentation of old Mughul, Rajput, Jain, Deccani paintings. Excursion to the Ranakpur Temples. Lunch at Maharani Bagh (Mango Orchard of the Maharaja of Jodhpur) near the Temples. Full day excursion to Ajanta, visit of the Buddhist and Brahmanical caves. Visit the most extraordinary free standing monolithic temple (there are only two of these in India), the Kailashanatha Temple, with unique carvings of the Ramayana and Vishnupurana. Fly to Mumbai. Transfer to Hotel Taj Mahal, new wing. Morning visit Prince of Wales Museum, the largest Fine Art Museum in India and Hanging Gardens. Afternoon cruise to Elephanta Caves. Day at Leisure. Optional visit to Crawford Market or Chor Bazaar. After lunch, join Bombay Heritage Walking Club (art & architecture students /professionals). They organize a 2 hr. walk through the old part of Bombay and also interact with the local people. Dinner & evening transfer to airport for flight home.